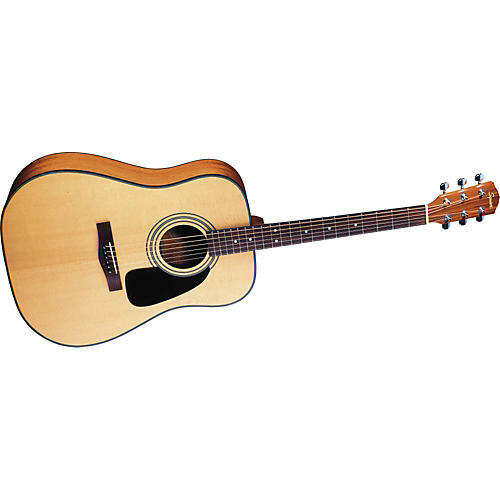 Squier's SD-6 steel-string acoustic guitar is an ideal first acoustic. The SD-6 is a full-size dreadnought with agathis top, back and sides; plus a natural satin finished, rosewood fingerboard and bridge, and chrome-plated tuning machines. Its tone, playability and durability are exceptional for a guitar in this price range.